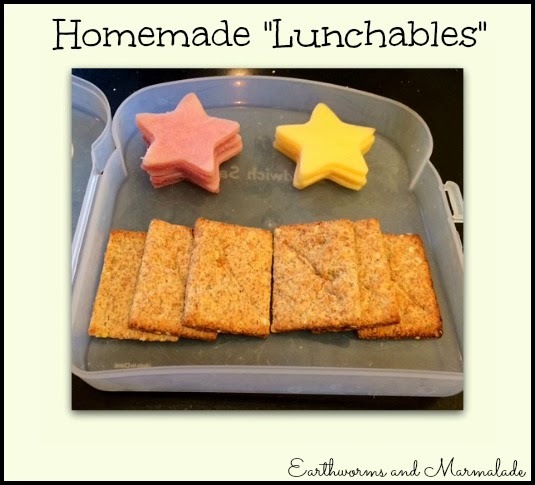 Earthworms and Marmalade: Homemade "Lunchables" A Nice Way to Keep the Peace! 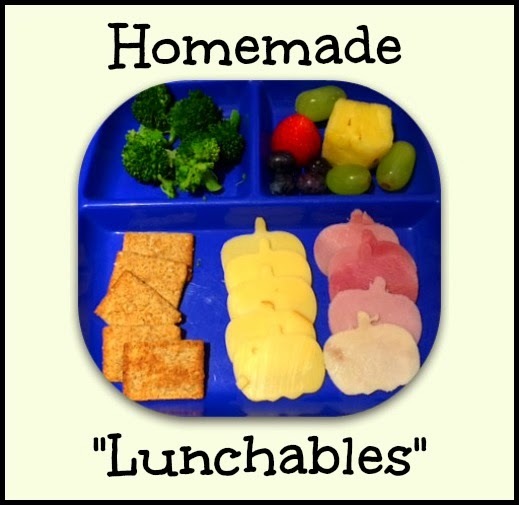 If your child goes to public school and is anything like mine, he/she wants Lunchables. 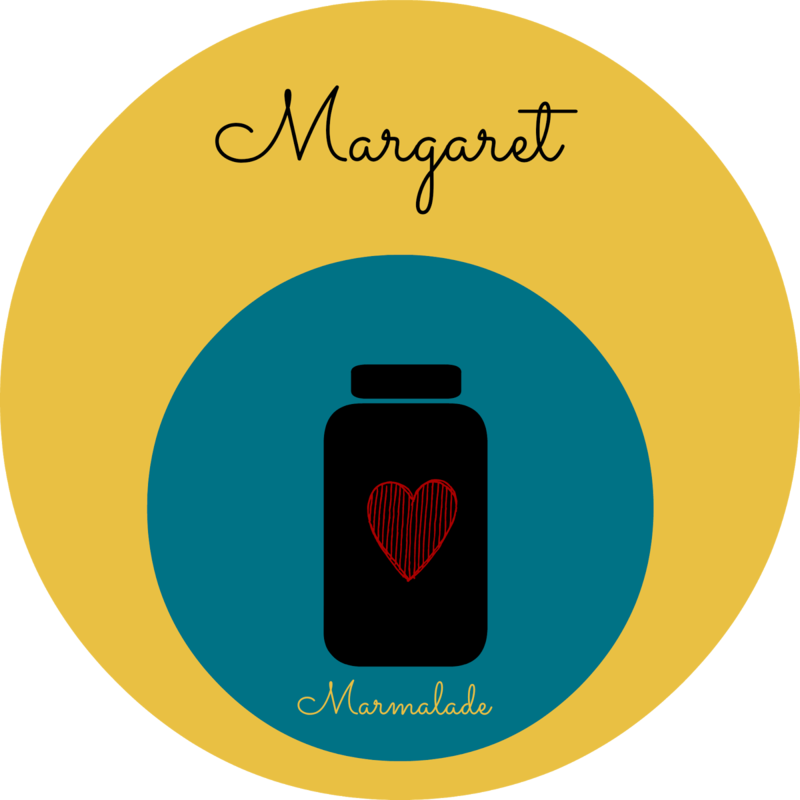 I must admit that I used to cave and allow him to choose a Lunchable once in a while, but I had such a hard time as a mommy watching my baby put all those chemicals and additives into his little body. Recently, *HE* had a great idea. When I, once again, refused to buy him a Lunchable, he said, "Can we make Lunchables at home?" Lightbulb!! What a great idea! I felt like this was a wonderful compromise. 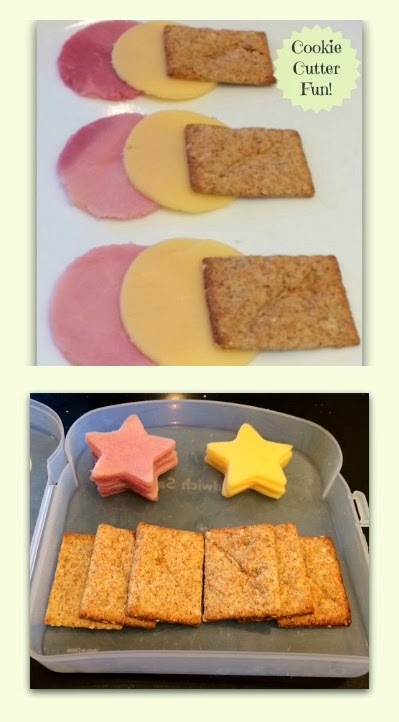 I could choose the quality of the meat, cheese, and crackers that went into the 'meal,' and he got his prized Lunchable! Now I don't mind making this for his lunch as a treat. One eventing the boys caught me with the mini cookie cutters, pressing away at the meats and cheeses. They wanted to help so bad that we ended up having it for dinner! It was a great bonding moment in the kitchen with my boys. And that is always on the menu! !